A recent survey found that 9 out of 10 seniors prefer to stay in their own homes. This may be called “aging in place”, and this is not exceptional in any case. To make our older adults improve mobility in and around the house, there might involve adaptation and easy accessibility in the home to tailor it to specific requirements. Being disabled is a situation where the condition hinders your ability to move around difficult without any help or support. The loved ones are always willing to help, but they may be unavailable at times. Stairs can be best traveled with a stair lift which is an excellent mobility support device for indoor and outdoor living areas. Many people have misconception that only little, weak and old people can use stair lifts. But this is a myth and people of all ages who struggle with stairs can use it. So, if you have a knee injury from an accident, you can get a stair lift installed at your home and can use it effectively to enjoy all of your house. Before buying and installing a stair lift, questions may arise whether the product will fit your indoor or outdoor stairs. With Affordable Medical Equipment you can find a stair lift to fit virtually any set of stairs. No matter the curve, length and width, there are range of stair lifts applies to you. If you indoor or outdoor stairs are a single flight of straight stairs, you can choose a straight stair lift. Again, if you have stairs with an intermediate landing, then a curved stair will be a perfect fit for your home stairs. For all these configurations, Affordable Medical Equipment offers a range of various models of stair lift to fit any stair. Now, you might have seen in TV commercials or advertisements or online about this product and thought that you or an elder member of your family would benefit from having one installed in your home. While you have seen the benefits of a stair lift, but do you know what to expect during the buying and installation process. Well, this process can be made easy if you know what to expect. A straight stair lift takes less time to get installed, and the units are mounted on the stairs and not on the wall, thus making it easier for a professional to get the job done right. A curved stair lift, on the other hand, is more complex and takes more time for installation. Whatever the complexity is, the experts at Affordable Medical Equipment can sort out and get solution to every problem. 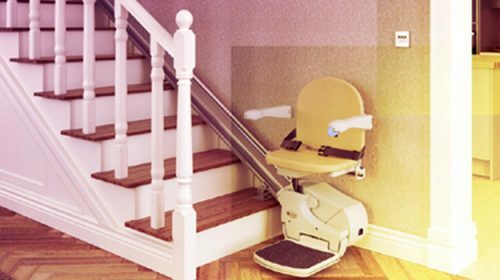 When you have decided to install a stair lift at your house, it is wise to make some good research online or get recommendation from any third party such as relative, friend or neighbor who have previously considered installation for their stairs. 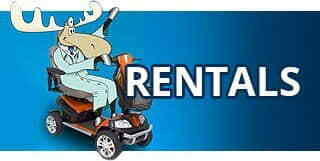 Look for reviews and testimonials and go with the ratings along with the company’s social media page for more details. Once you have contacted a suitable provider, they will explain you the prospects of installation and will also schedule an in-home evaluation to take proper measurements of your staircase before installation. If it is a straight staircase, it will take 7 to 8 measurements. Again, the measurement for a curved staircase is more complicated and typically involves a detailed photo system for more precise measurements that will allow to create a tailored rail. Moreover, the experts will also look whether an electrical outlet is located within six to seven feet of the top or bottom of the staircase. During the evaluation process, the consultants will also discuss various other things like the various models, features, its availability and most importantly your budget. Generally, for a straight rail stair lift, the product will be available within 1-2 days and sometimes on-site. Curved rail stair lifts may take longer time if measurements need to be sent to the manufacturer or any customization should be needed. During this session, the consultant will make a thorough study of the entry and exit ways for your home and also suggest solutions. It is common that a stair lift may require a maintenance after a course of time, such as, a replacement of a battery or replacing malfunctioning part. Typically, batteries last for 2 to 3 with heavy use and 5 to 7 years with light use. Once everything is explained to you, make sure you discuss with manufacturer and dealer regrading warranty details and service plan options with your provider. Also know the key features for each model. The final though is to ensure your house get installed with a hassle-free stair lift from a reliable provider so that you avail the best product for your mobility assistance. When researching providers online or offline, always look for dealers that offers branded products and have factory training with all required licenses for their business. Make sure that while you to purchase a stair lift online or from a store, get the installation done only by professional stair lift manufacturers. 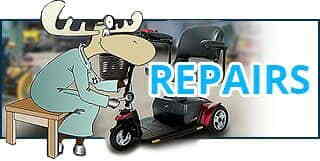 Affordable Medical Equipment is a great place to get the best stair lift for your home if you live in West Columbia.